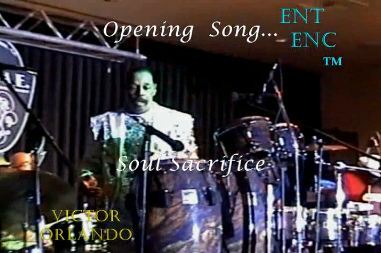 Victor Orlando's "A Tribute To Santana" And "Switched" Fund-Raiser and Victory Run... @ H.O.M.E, House Of Music And Entertainment, @ 430 N Camden Drive, Beverly Hills, CA 90210 with Opening Song... "Soul Sacrifice" © July 25th, 2015. Join Us, Saturday, July 25th, 2Thousand15 @ 430 N Camden Drive, Beverly Hills, CA 90210 With Producer, Director, Writer, Actor, Comedian and Musician... Victor Orlando, Recipient of the Los Angeles Music & Fame Lifetime Achievement Award, Grammy & NAACP Nominated Artist & Percussionist, Also With Artists, Pete Escovedo & Mason Pryor (Richard Pryor's Son)... A Night To Remember, See You There!! Be sure to visit "Entertainment Enclosed" and "Hear It Now Live Radio" on Facebook and help support the Station by liking the pages.